After floating some pretty radical initial concepts, the current draft map from the Redistricting Task Force is looking a lot more like the District 6 we’ve all come to know and love. Hayes Valley is definitely going to end up in Supervisor Christina Olague’s District 5 and portions of the Mission will be moving into District 9 but the old NEMIZ (Northeast Mission Industrial Zone), South of Market, Civic Center and most of the Tenderloin will continue to define District 6. Treasure Island also remains in the District. 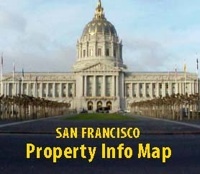 The latest map can be found at http://sfgov2.org/index.aspx?page=3223. The original proposal eliminated the entire north Mission from District 6. The NEMIZ has always had a lot in common with SoMa. The network of residential enclaves in the alleys continue west of Division Street and South Van Ness has a cluster of SRO hotels similar to those along 6th Street and throughout the Tenderloin. Early maps showed Supervisor David Chiu’s District 3 extending south of Market Street as far as Rincon Hill and another scenario drew the western boundary running through the middle of the 11th Street nightclub corridor. The Task Force has four special meetings scheduled for the month of March, which focus on Districts 4, 5, 7 and 8, followed by an intense final round of meetings in early April, culminating in a final recommendation no later than April 15, 2012.